If your gym equipment has a surface that isn’t sensitive to liquid, wiping it down with a little disinfectant cleaner after each sweat-session is a good idea. If swabbing down with every use seems tedious, try to disinfect your machine(s) at least once a week. Make sure that the start button is unplugged before you start wiping. Treadmills need a little more special treatment. The space under treadmills should be vacuumed to prevent dirt and other particulates from getting caught in the belt —use a dry cloth to swipe under any places you can’t reach with the vacuum. Clean the treadmill belt itself with a clean, dry cloth. Weights, dumbbells, medicine balls, swiss balls, Bosu balls and kettle bells all can and should be wiped down as many times as you can bring yourself to do so using antimicrobial sprays or wipes. Focus on the areas where you grip the equipment since this is the place where the most build-up from body oils, lotions, dust, and sweat occurs. Not only your gym equipment, make sure your fitness mats are also. Between standing, supine, and prone exercises, we move our bodies and feet all over the length of the mats, along with our sweat. Leaving the sweat behind from just a single workout is enough to give bacteria an opportunity to grow. Some yoga mats are machine washable while others should simply be wiped down with an organic, non-irritant mat. 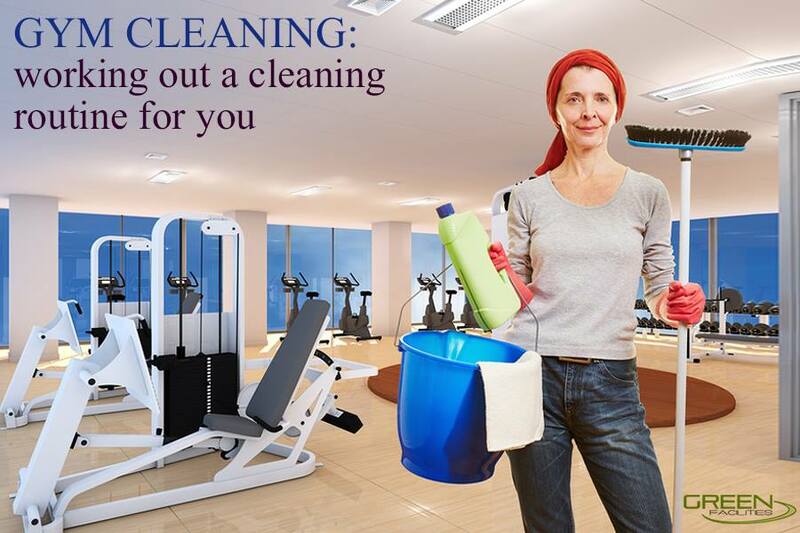 Regular cleaning of gym equipment not only helps you maintain good hygiene, but also prolongs the life of your equipment. Many types of fitness equipment will start to deteriorate and wear out more quickly if they aren’t cleaned often/properly. Using cleaners containing mild chemicals is better than using harsh chemicals that can cause rashes when coming in contact with bare skin. Similarly using drying chemicals or bleach on your equipment can cause premature wear and cracks on parts made of vinyl and plastic. If there is one place where germs can be found in bucket load quantity then it is the gym. Generally people visit gym to sweat out that extra layer of flab but along with that they are exposed to germs already sweating on the equipments. 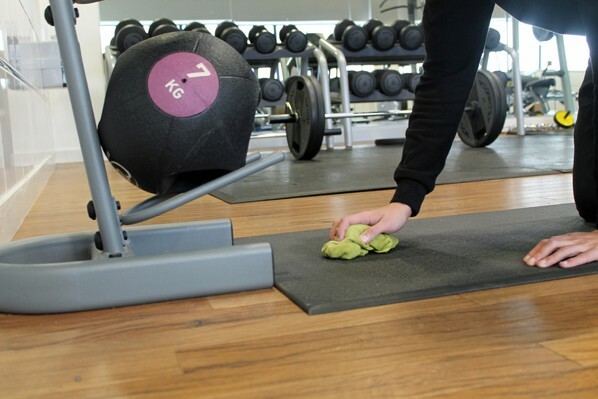 It is imperative for Gym authorities to hire professional cleaning services in Gym so that the cleaning is carried out in an effective manner. There are many cleaning products available such as disinfectants, sanitizers, germ-killers, and more. Applying these products are not enough until a proper cleaning method is not involved. You need the techniques to clean your equipments. First of all you need to identify your frequency of cleaning as in how often your equipments need to be cleaned. 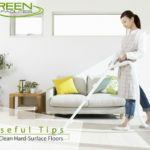 More often something is cleaned less chance germs have to accumulate on it. For a matter of germs a milder disinfectant can be used. 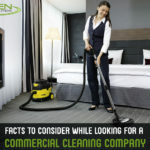 Your customers can also get involved in the cleaning process. In this way they know that they are using first hand cleaned equipments. A right cleaning method should be used. Spraying disinfectant is not enough. Use of cleaning wipes is highly recommended. You need to choose the right disinfectant. Disinfectants are grouped into three categories low intermediate and high. Low-level disinfectants kill vegetative bacteria, fungi, and lipid viruses including HIV and hepatitis-B. Intermediate-level disinfectants kill mycobacterium tuberculosis but not bacterial spores. High-level disinfectants destroy all microorganisms with the exception of high numbers of bacterial spores.